I had a blast ringing in the new year with some of my closest friends on New Year's Eve, a little over a week ago. 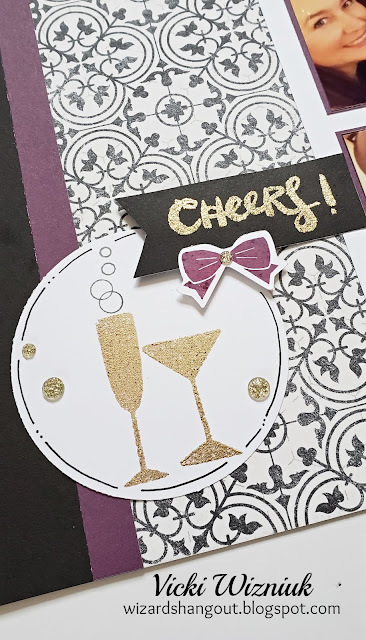 For my layout, I used papers from the new Feels Like Home paper packet, as well as Gold Glitter paper, Gold Foil paper, and Black, Eggplant and White Daisy cardstock. I cut the title using our Cricut Artbooking cartridge, and the Block Numbers Thin Cuts dies for the numbers. 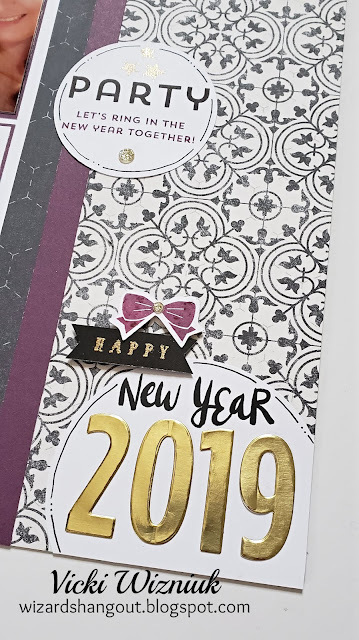 The stamps I used are retired past stamp of the month sets from 2016 and 2017, which both had a New Year's theme. Other items used were Black and Eggplant inks, Gold Glitter Gems, Journal Pen, and Gold Tinsel Embossing Powder. 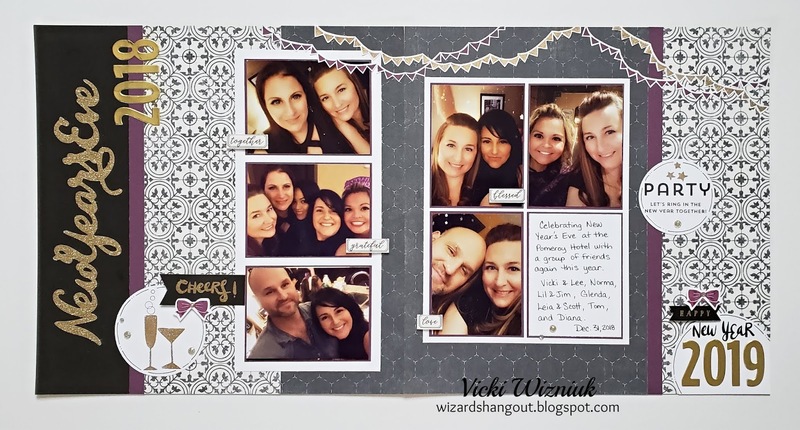 Fantastic layout! I look forward to your future posts!